Kawai’s ATX2 instruments are true hybrids, combining a fully fledged acoustic piano with the Anytime X2 system. The K-500 (also available without the ATX2 system at £7,666 RRP) is 130cm tall and offers a larger soundboard area and longer strings than the smallest grands. 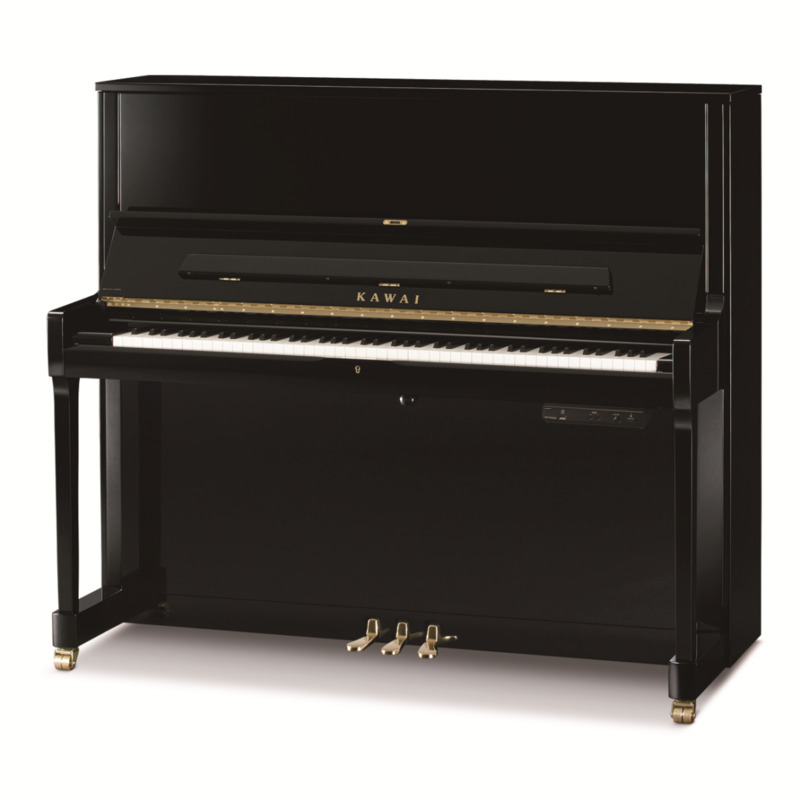 The additional tonal depth and dynamic range this provides, allied to the responsive Millennium III action, makes the Japanese-made K-500 an excellent choice for professional teachers and players, or those moving onto the higher grades and diplomas who do not have space for a larger grand. The K-500 ATX2 retains all these qualities but adds real versatility. Locking the middle pedal into place engages a stop-rail, allowing the hammers most of their travel to retain the feel of playing an acoustic, but stopping them from hitting the strings. Optical sensors integrated within the piano action send precise and accurate information to the ATX2 system, allowing you to connect two pairs of headphones for enjoyable and productive private practise with the sound of a Kawai EX concert grand. The ability to record your playing to USB and connect to a computer using MIDI cables or USB adds further flexibility, widening the piano’s appeal as a tool for composition as well as performance. Most Kawai uprights are available with ATX2, and such instruments are in use at the Royal College of Music, Yehudi Menuhin School, Purcell School For Young Musicians, and onstage by Coldplay. An ATX2-f version with a soundboard transducer/speaker is also available (£9,555 RRP).